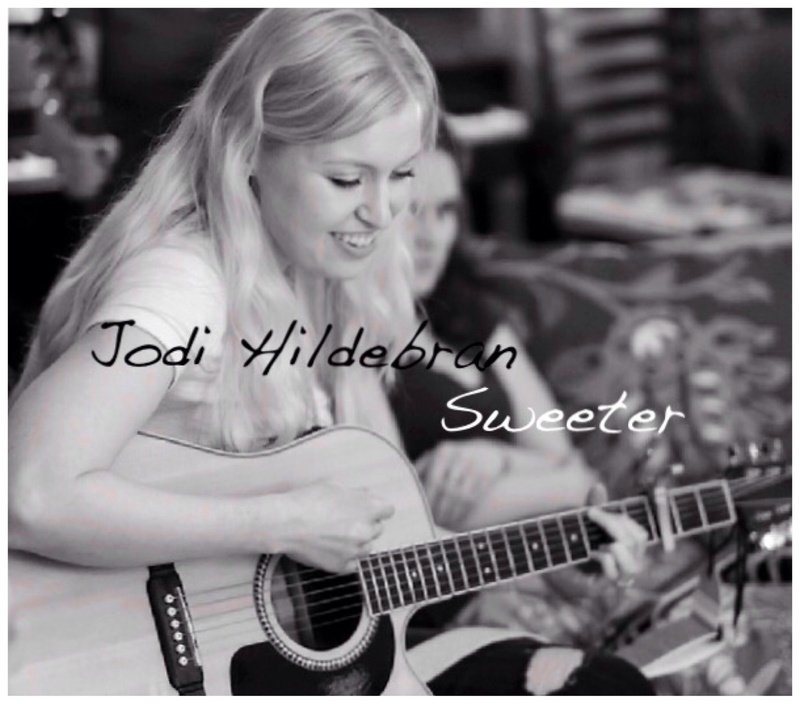 With the release of her debut EP “Sweeter,” singer-songwriter Jodi Hildebran demonstrates her affinity for combining indie folk and pop, with a touch of country sass. Although Jodi has been singing since she was just a little girl, she did not start writing songs until her father passed down her grandfather’s vintage Gibson J-45 acoustic to her. That guitar turned out to be the impetus she needed to spark the songwriting process, and she hasn’t stopped writing since. The first single from the EP by the same name, “Sweeter” is pop folk at its finest. It’s fun, catchy, and upbeat, with a country twist for good measure. “I just thought it was kind of a fun little song, and it needed a cute title. In the South, if a boy likes you, we might say he’s sweet on you. For this song, I turned it around – the guy is sweeter on his car than he is on the girl – or at least, that’s what she thinks…” explains Jodi of the single. Other songs on the EP range from acoustic heartbreaking ballads that get very personal like “Wash You Away,” to full swing Americana anthems like “One Shot At A Time.” For any fan of great country, folk, or even indie pop, the Sweeter EP surely doesn’t fail.